Opened in 1919, and designed by the prodigious architect C. Howard Crane, the Detroit Symphony Orchestra Hall took just a little over four months to complete. Built in stately neo-classical style, and highly ornate inside, the Hall could seat nearly 2300 in its accoustically superb auditorium. Under the leadership of Ossip Gabrilowitsch, the DSO became one of the most prominent orchestras in the US during the 20s and 30s, appearing at the Chicago Century of Progress World's Fair in 1933-4 (as the Ford Symphony) and heard weekly on the radio show The Ford Symphony Hour broadcast live from the Hall. 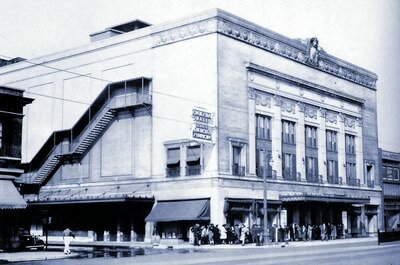 In 1939, the DSO was forced to leave their ornate hall due to financial struggles, and for the next half century would perform at the Masonic Temple, the Music Hall, and the Ford Auditorium. 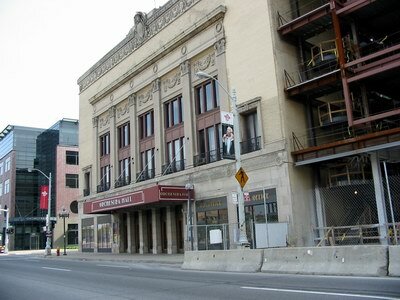 In 1941, Symphony Hall was converted into a venue for both live entertainment and movies, as the Paradise Theatre, serving a mainly African-American audience. 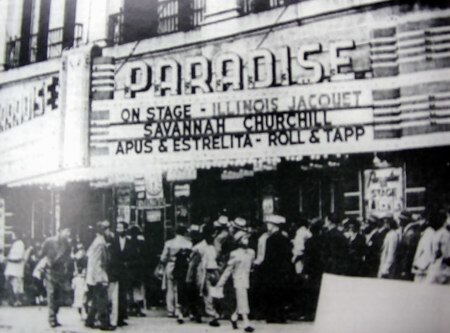 The Paradise hosted some of the biggest names in jazz of the 40s, such as Billy Holiday, Ella Fitzgerald, Duke Ellington and Count Basie. For a decade, the Paradise drew enthusiastic crowds to see the big name stars play its stage, but it was closed in 1951. It briefly was renamed the Town, and switched to movies-only. The theater later served as a church and a recording studio for the DSO during the 50s, before closing in 1960. In 1970, a restaurant chain was interested in razing the Hall, but it was fortunately saved, when the newly-formed Save Orchestra Hall, Inc. acquired the decaying building and began a 19 year-long program of restoring it to its 1920s splendor. In 1989, after a fifty year absence, the DSO returned to its former home. In 1996, the DSO announced plans for a three phase addition to the original Hall. Phase I, which is now open, is a five story office building and garage adjacent to the original structure. Phase II will be the Detroit High School for the Fine and Performing Arts, also on property adjacent to the Hall. Phase III, to be completed by late 2003, will be the Max M Fisher Center for the Performing Arts.